There are a few ways in which to structure your home loan, in terms of your repayments. Choosing the right option can save you both time and money. But, how do you know which is the best option for you? In this article, we’re going to look at the three ways in which to structure your home loan repayments – fixed, variable and split. We’ll cover how each structure works, how they could be of benefit to you, and what to keep in mind when making your choice! As the name suggests, a fixed rate home loan is a loan structure whereby the interest rate remains fixed for a set period of time. Typically, people opt for three to five-year fixed rate terms. However, there are a range of terms available, generally from one to ten years. The benefit of having a fixed rate home loan is that any upward fluctuation of interest rates will not affect you during the fixed rate term, as your rate will be ‘locked in’ when you take out your loan. This gives you the certainty of knowing what your repayments are each month – an attractive feature to consider if you are on a tight budget. A downfall of this option, however, is should interest rates reduce, your rate and repayment will stay the stay despite the drop. Entering a fixed loan term at a time where interest rates are predicted to rise could prove valuable. However, there are some considerations to keep in mind that may affect whether this is the right home loan for you. For instance, breaking the term of a fixed rate home loan can be costly, so it’s wise to investigate the early exit fees before commencing a fixed term. Additionally, you may be restricted to how much you can pay off your home loan during the contract period, and there may also be additional upfront fees for taking out a fixed rate over a variable rate. This type of home loan repayment structure allows for flexibility. The interest rate associated with a variable home loan will fluctuate as the market does. If interest rates go up, the interest rate applied to your home loan will go up, and as a result your monthly repayments will increase. On the flip side, should interest rates reduce within the overall market, most lenders will pass this reduction on to their customers, and therefore it is likely the interest rate reduction will be applied to your home loan and allow for your repayments to decrease. Variable home loans often come with additional features, such as the ability to make extra repayments and to have an offset account. To read more on the benefits of these features, click here. This option allows you the best of both worlds by giving you the opportunity to split your mortgage into two loans – one at a fixed rate, and one at a variable rate – allowing you to take advantage of the benefits of both. With a split loan, you are spreading the risk of interest rate changes. Your risk appetite will determine how much of your loan you decide to fix and how much you decide to leave variable. 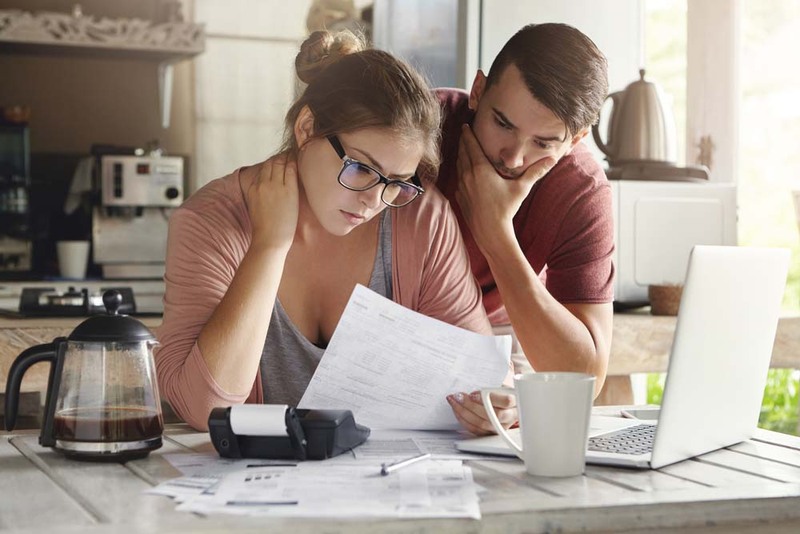 Splitting your loan during the initial loan application process, in most cases, will not cost you any additional fees, however keep in mind if you decide to split your loan post-settlement, you there may be a charge to the customer. It’s important to remember that the right kind of home loan structure for you will be specific to your personal situation, budget, and long-term property goals. Having your loan structured correctly, according to your personal circumstances, can potentially shave years off your home loan and save you thousands! To ensure you choose the right home loan product and structure for you, it’s a good idea to speak to a mortgage broker and have them assist you with your home loan set up.